Map of eastern Turkey from Antioch on the Mediterranean Sea to Baku east to Baku on the Caspian Sea and north to Trebizond on the Black Sea. 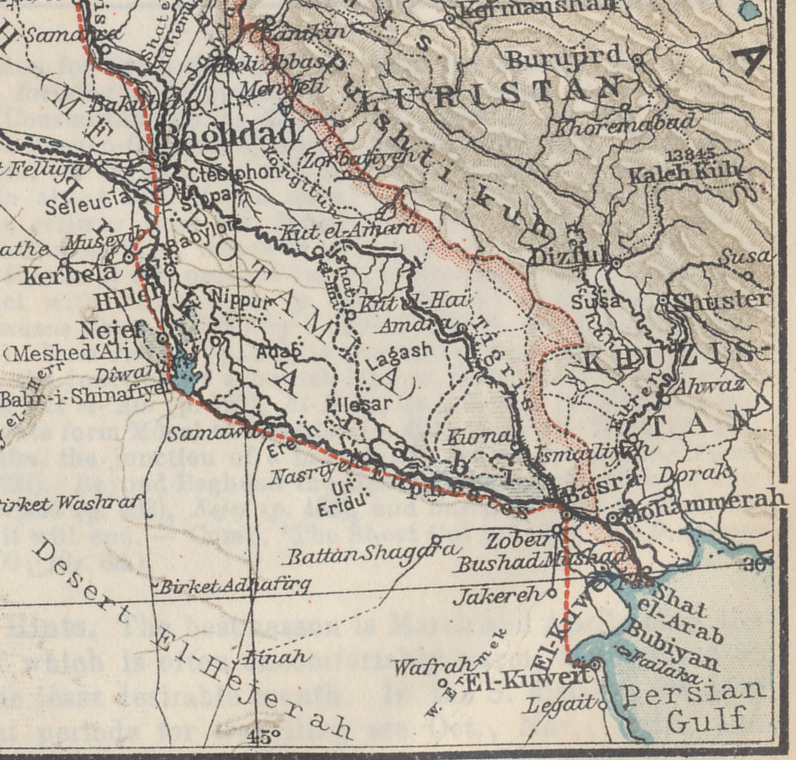 The Armenian, Azerbaijani, and Kurdish areas are shown. 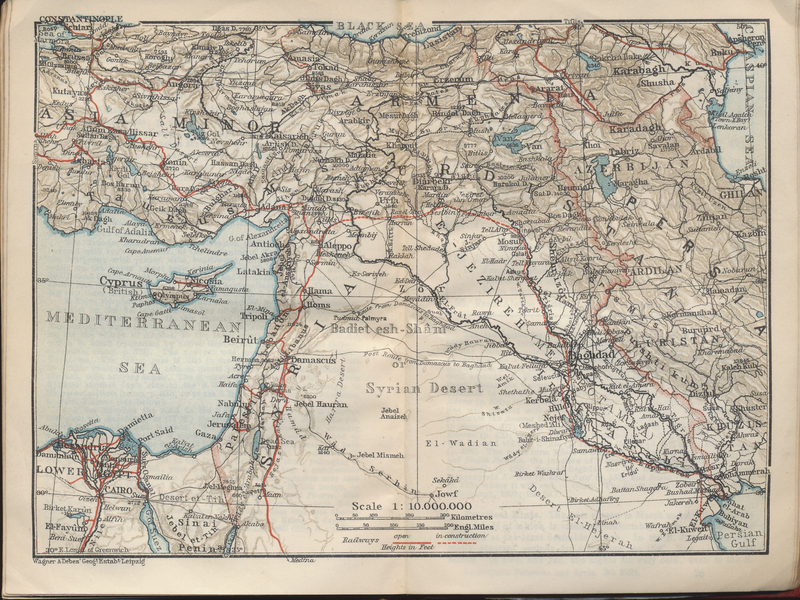 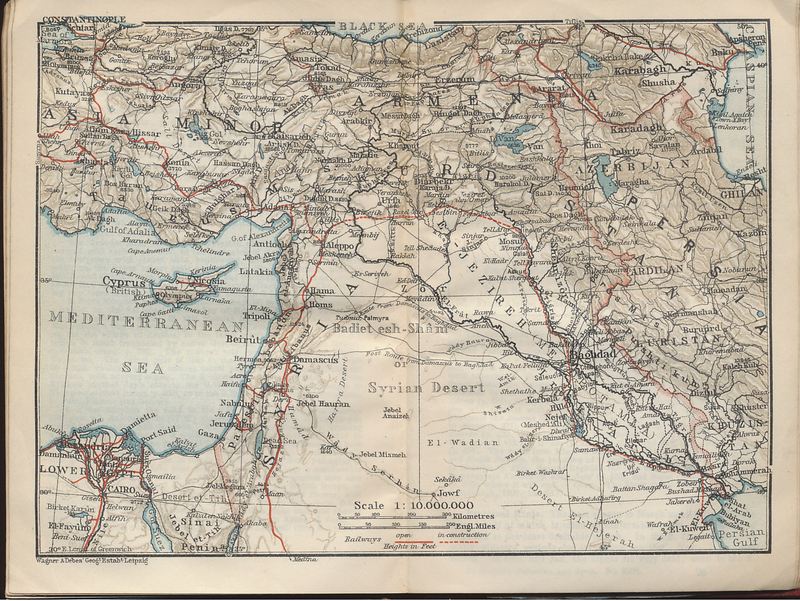 From the Baedeker 1912 travel guide Palestine and Syria with Routes through Mesopotamia and Babylonia and with the Island of Cyprus.